Two icons of Disneyland’s early Tomorrowland endure, even though the originals were destroyed in the 1960s. One is the House of the Future, which is still the subject of homage. 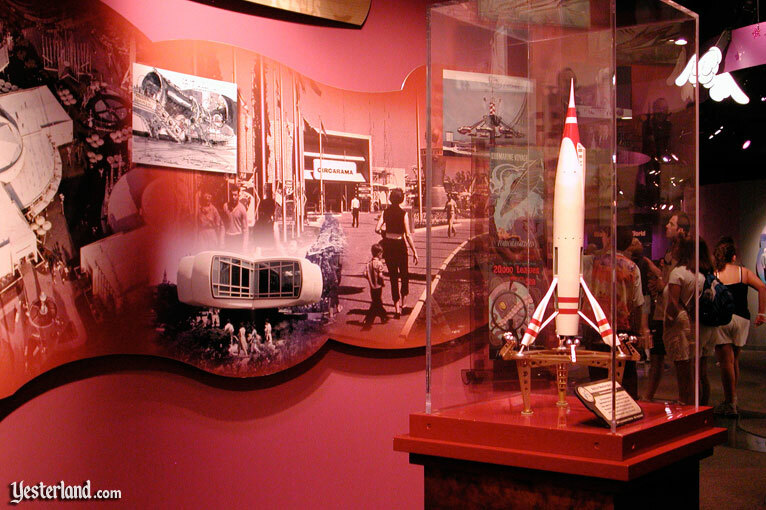 The other is the TWA Moonliner, which stood at the entrance to the Rocket to the Moon attraction. 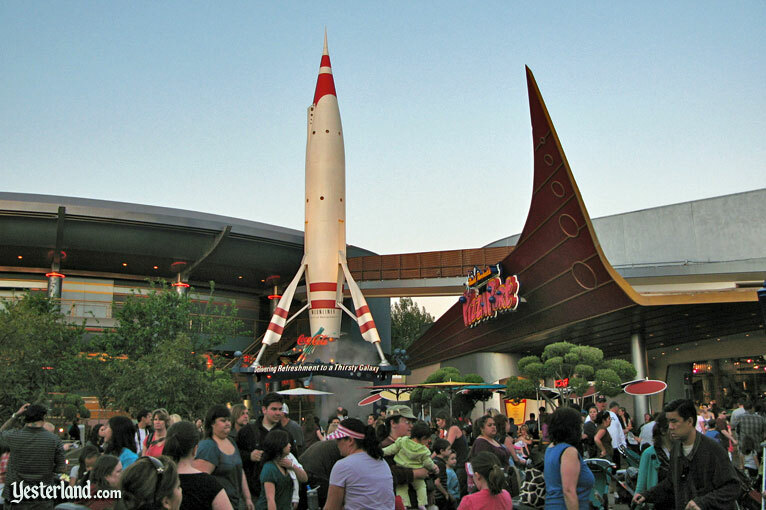 The TWA Moonliner rocket at Disneyland was a bold vision of the future when Disneyland opened in 1955. By a decade later, it had become yesterday’s technology in a land called Tomorrowland. 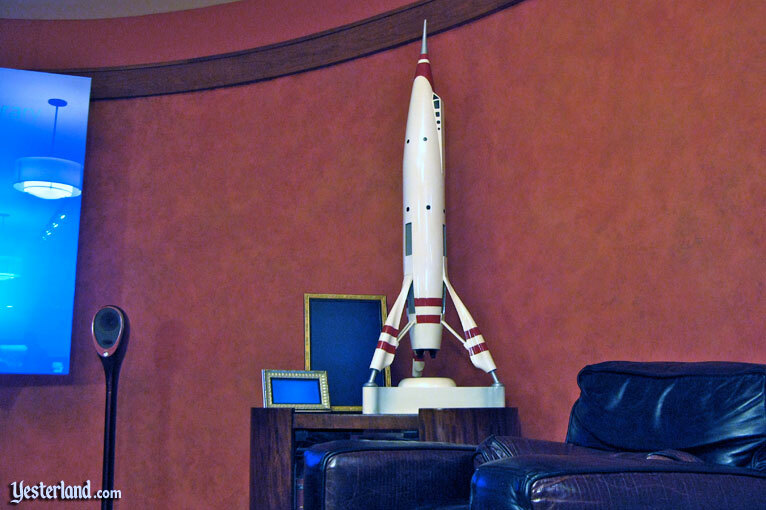 The Moonliner was too old to be current, yet too new to seem quaint or to evoke nostalgia. It wasn’t cool or fun. It was just out-of-date. 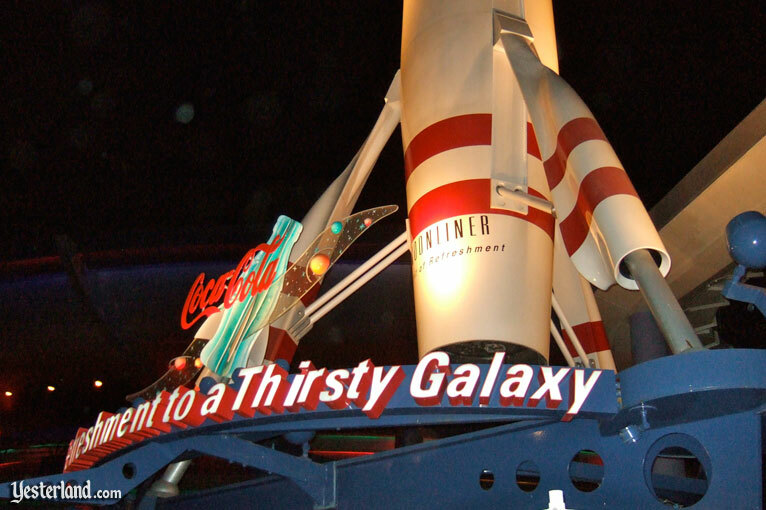 Disneyland guests of the mid-1960s knew what real NASA rockets looked like. They didn’t have three retractable legs or graceful, curved bodies that formed a point at the top. And concept art for space travel in the 1970s and beyond didn’t show anything that resembled the Moonliner. Tomorrowland closed in 1966 to make way for the New Tomorrowland of 1967. After having spent seven years in TWA colors and four years in Douglas Aircraft colors, the Moonliner disappeared. It must have seemed like a good idea at the time. 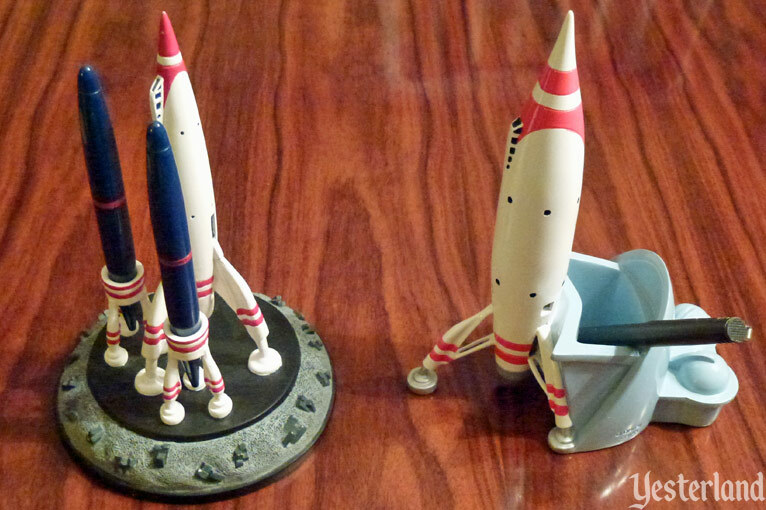 After all, the elegant rocket from 1955 was no longer representative of the future or even the present. Fast-forward to 1995, the 40th anniversary of Disneyland. Displays at the entrance to the park showed historical photos and featured retro art. 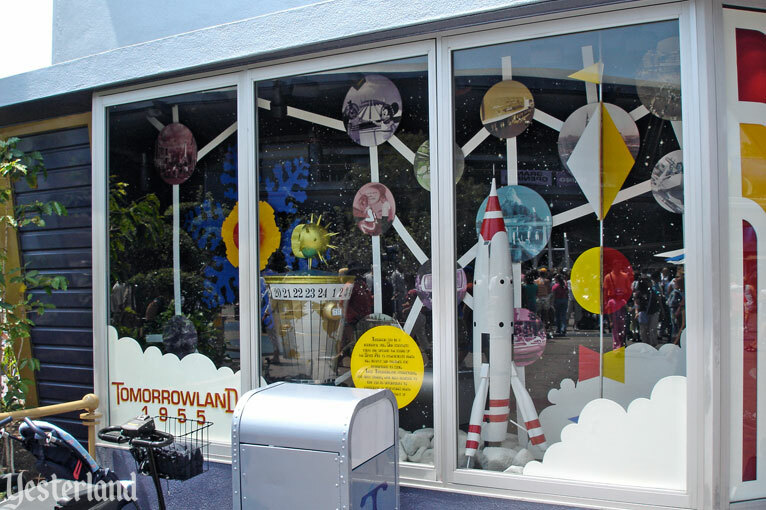 The coolest of all was the Tomorrowland display, complete with a cut-out Moonliner. With the passage of time, the design of the Moonliner had become very cool—and a perfect photo op. 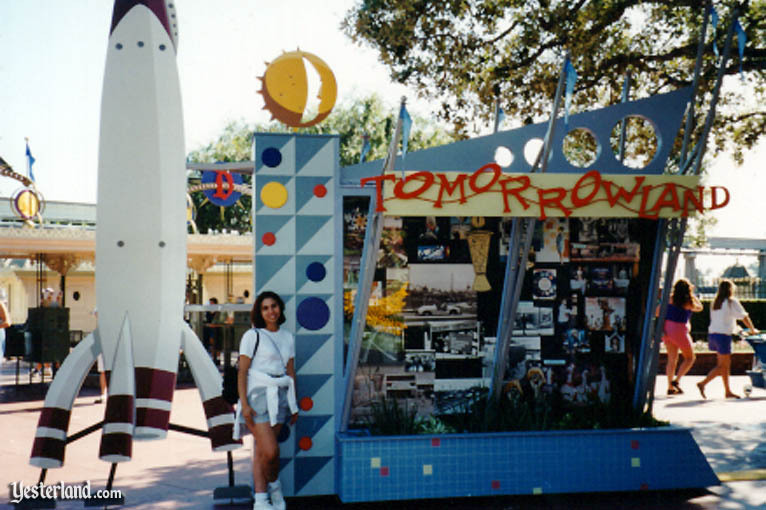 In 1998, Disneyland again opened a New Tomorrowland. This time, it would represent a retro-future. With this theme, the Moonliner would be the perfect focal point. Too bad it had been scrapped. After an absence of more than 30 years, Tomorrowland once again had a Moonliner. The distinctive white and red paint scheme of the 1955 version, which had mimicked the paint scheme of TWA airliners, was back—except without a TWA logo. It made a perfect color scheme for Coca Cola. In 2005, the 50th anniversary of Disneyland, another display honored the Moonliner (along with the World Clock). This time, it was a display window in Tomorrowland. Vintage attraction posters decorate Redd Rockett’s Pizza Port. 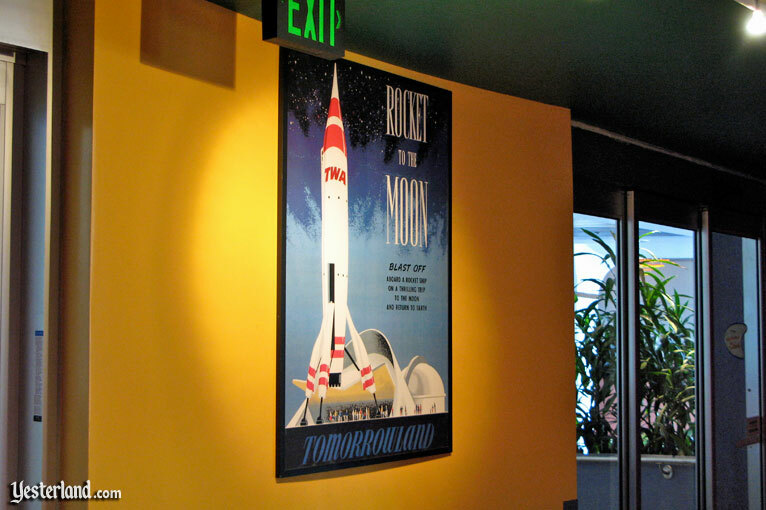 The Rocket to the Moon poster is especially fitting, considering that the restaurant is in the building that had been home to Flight to the Moon and Mission to Mars, the successor attractions to Rocket to the Moon. 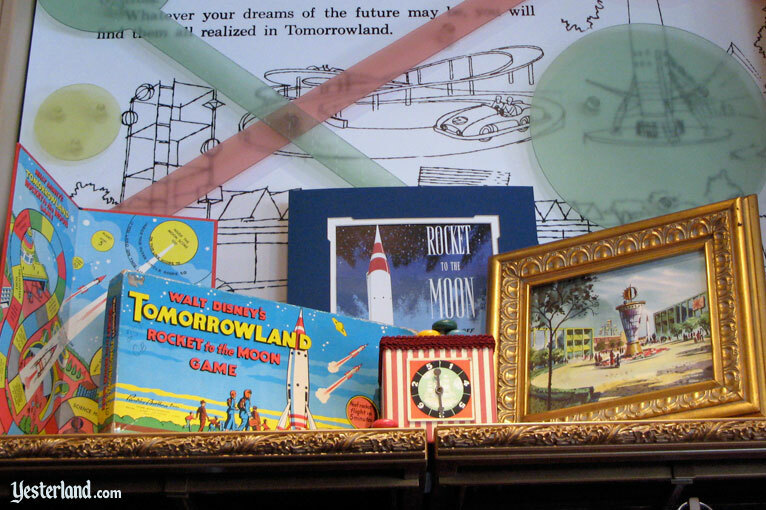 For the 55th anniversary of Disneyland in 2010, the Disneyland Showcase shop on Town Square had a series of exhibits about the park’s past—complete with homage to the Moonliner. 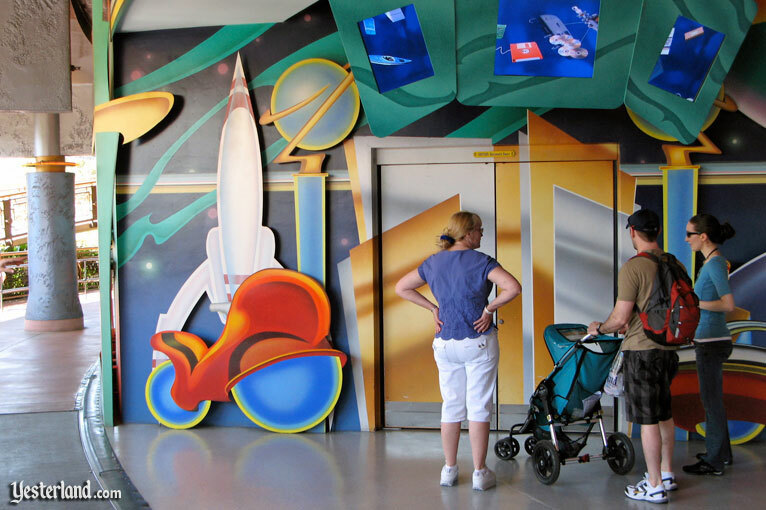 Since opening in 1998, Innoventions has been a good spot for Moonliner sightings. 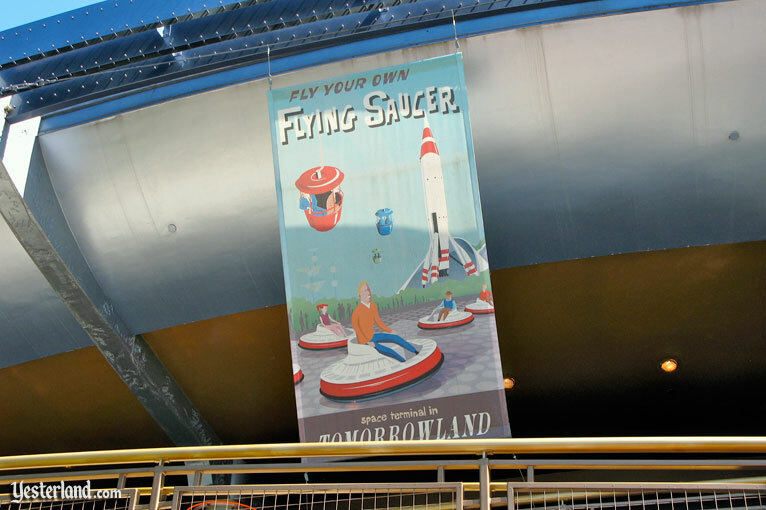 The Flying Saucers banner on its exterior prominently features the Moonliner. Another Moonliner is at a downstairs entrance, while a detailed model has been displayed inside. Walt Disney World never had a Moonliner in its Tomorrowland, but it has a model in Walt Disney: One Man’s Dream, a museum about Walt Disney at Disney’s Hollywood Studios. Finally, there are two Moonliners in the Yesterland office, albeit just desk accessories bought at the Disney Store. 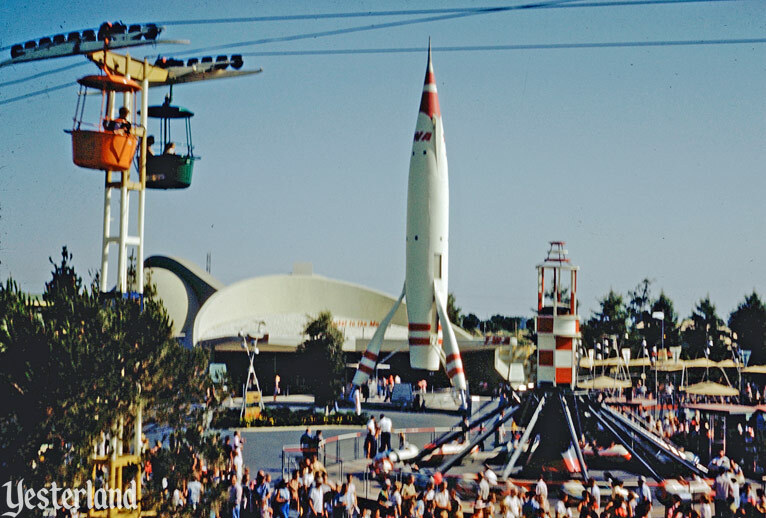 Yesterland has more articles about the Moonliner. Is this book part of your collection? 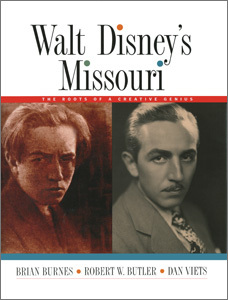 Dan Viets is one of the authors of Walt Disney’s Missouri: The Roots of a Creative Genius (Kansas City Star Books), along with Brian Burnes and Robert W. Butler. It’s one of my favorites on my Disney bookshelf—a perfect balance of historical images and well-researched, well-written text in a large-format, hardcover book. There’s even a chapter about Walt Disney’s plan for an indoor theme park for St. Louis, with actual plan drawings. If the Amazon link to the left shows an expensive collector price, click on it anyway. You’re like to find much less expensive used copies in good shape.